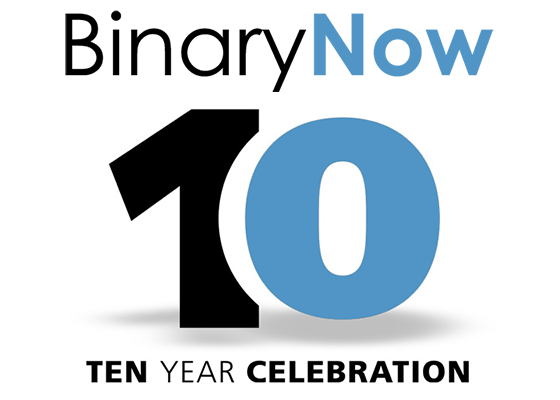 During 2009 BinaryNow, Inc. started as a small software publisher with a single product line from our first vendor. Since then, ten years have passed, and our organization has matured into an internationally recognized software publisher with a strong online and retail presence offering an affordable software solutions for everyday use. We continued to distribute well established brands as well as new startup product lines from other vendors while we invest into developing own product line. We introduced nine startup product lines (versions 1 and 2). We represented four established product lines from Kingsoft, SoftMaker, Software602 and Wondershare. 10 of our products were distributed in retail stores in North America. We have an ongoing distribution agreement with Encore Software. Office Suite, popular alternative to Microsoft Office is distributed by Walmart, Best Buy, Target and other mayor US retailers. Over one million people visited our online store. The third generation of popular PDF Impress 10 product designed by BinaryNow was acquired by Amyuni Technologies. Our users can enjoy new version, PDF Impress 11 designed on their core technologies. Our recent endeavor includes custom software development per customer demand. Honorable mention goes to Dr. Daisy Pet Vet game we converted to Android and iOS operating system to allow millions of players to enjoy this game on mobile devices and to various PDF projects with PDFix, powerful PDF API, which allows DATA extraction from PDF, PDF to responsive HTML conversation and other unique PDF manipulation options. BinaryNow proudly sponsored Space Engineers Prints project, which allowed Space Engineers game players to receive a full color plastic 3D printed model of space ship they have designed in the game or purchase 3d printed collectibles from game. “We had a fair share of success and failures during last 10 years,” Premysl Pech (founder, CEO) admits. “We are especially happy with our transition of product based company to an organization where our past experience can be tailored to specific needs of each individual customer”. Our thanks go to our loyal customers, technology partners, publishers and employees for helping us to achieve our goals over the past decade. Do you want to stay connected? Connect with us on Twitter, Facebook, and LinkedIn or use our contact page. Visit BinaryNow online store here.